As an excellent client service and a good experience with our products is very important to us, we find it very important to continue helping you with all your questions after you bought your Maxima pizza oven with us. For this we have our own in house technical service that loves to assist you with any questions about your pizza oven and defects. Feel free to contact any of our staff. Aside from that we can also be of service in our showroom in Mijdrecht. 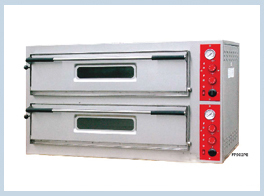 Our sales specialists can tell you all about the Maxima pizza ovens in our range.